Resources for Foothill Faculty: Welcome! This guide describes library resources and services designed to support Foothill College faculty. Mon – Thur 7:45 a.m. – 7 p.m.
Fri 7:45 a.m. – 4 p.m.
Mon – Thur 7:45 a.m. – 4:30 p.m. The Library is closed during all college holidays and breaks. This guide describes library resources and services that are available to faculty at Foothill College. Please use the tabs above to navigate to information regarding our resources and services. We look forward to working with you! Winter hours are M-TH 7:45 a.m. - 7:00 p.m, F 7:45 a.m. - 4 p.m. Closed, Saturdays and Sundays. Information Literacy Modules in Canvas: import library instruction modules directly into your online course! Please click on the Library Instruction tab for more information. Effective 3/28/18: Due to a reduction in staffing, ILL (borrowing and lending from other libraries) will be suspended until further notice. Please click on the Interlibrary Loan tab for more information. Group Study Rooms: the library now has 10 group study rooms. Please visit http://libcal.foothill.edu/rooms.php?i=12007 to reserve a room online. Breakout study spaces: in addition to the Group Study Rooms, there are also 6 breakout spaces where students can work collaboratively. Multimedia Classroom now available: Room 3504 is a 50-seat multimedia classroom equipped with 50 Macs and instructor station. Please contact Denise Perez at perezdenise@fhda.edu to reserve the room. Reserve Textbook Weekend Lending Program – Extended Loan Period. Please let your students know about the library’s textbook loan program with extended hours for weekend lending -- now from 7:40 a.m. Friday morning until 10 a.m. the following Monday morning. For questions, please contact the Reserves Desk at (650) 949-7611. Safari Books Online is the premier on-demand digital library providing over 42068 technology, digital media, and business books and videos online to academic and library users. Safari Tech Books Online: premier on-demand digital library providing over 42068 technology, digital media, and business books and videos online to academic and library users. Open Education Resources LibGuide: a one-stop shop for information on OER including teaching materials, textbooks, books, and other resources for integrating OER into your courses. The Teaching Professor: this newsletter is a forum for discussion of the best strategies supported by the latest research for effective teaching in the college classroom. Available in the Periodicals Stacks. Bestsellers Collection: a changing collection of current best-sellers, popular fiction and non-fiction books, for your reading pleasure. Located in the Reference Room. 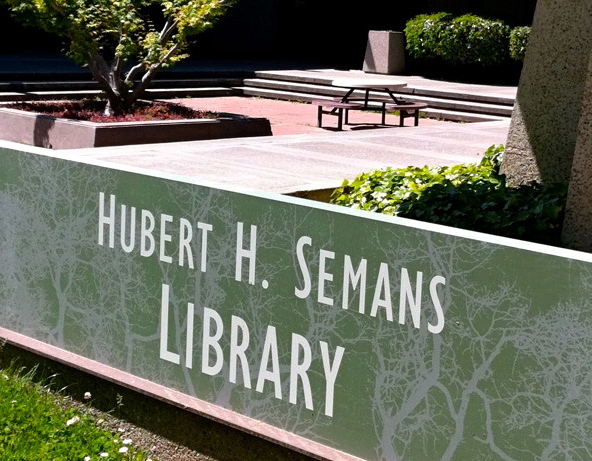 The books are arranged on the shelves alphabetically by author and can be browsed online using the Advanced Search feature and limiting by "Shelving Collection" bestsellers in the Foothill Library Catalog.